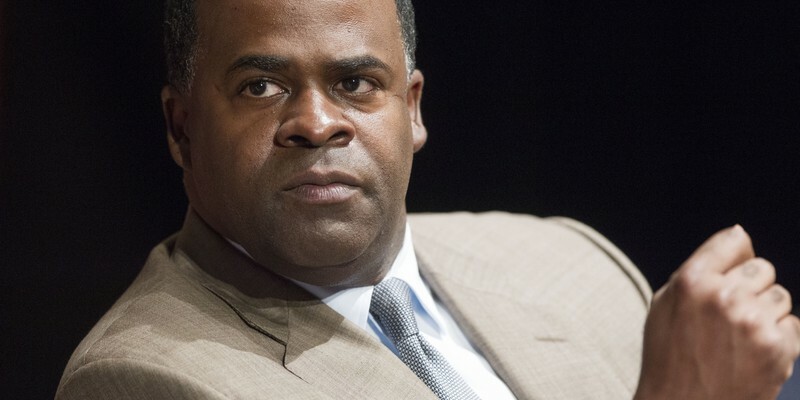 By Angela LaScala-Gruenewald / May 16, 2014, 10:31 a.m.
Kasim Reed has served as mayor of Atlanta since 2010. During his term, he has confronted a wide variety of challenges, from enacting pension reform to counteracting city crime rates. Prior to his election, he served as a member of the Georgia General Assembly. In an interview with Gate World Editor Chelsea Fine and Editor-in-Chief Angela LaScala-Gruenewald, Mayor Reed discusses urban policy issues, mayoral leadership strategies, and the role of cities as they relate to the US federal system. The Gate: You wanted to be mayor from a young age. Why? Kasim Reed: It had a lot to do with the person who influenced me to get into politics: a gentleman named Ambassador Andrew Young. He was the mayor of Atlanta, a former UN Ambassador, a member of Congress, and he was one of Dr. Martin Luther King’s chief lieutenants in the civil rights movement. I met him at Ben Hill United Methodist Church when I was thirteen years-old. I met him again when I was on the board of Howard University when I was about twenty. I was thinking about taking a job in New York and he said, “You should come home because Atlanta is going to need a mayor like you one day.” He took an interest in me when I was nineteen, and twenty years later I was elected mayor. Gate: Why city government in particular? Reed: Because cities are where hope meets the street. The city of Atlanta has a strong mayoral form of government, so your ability to implement your policy ideas and execute change is faster than any other comparable form of government…You know, I don’t think it’s an accident that Mayor Bloomberg wanted three terms in New York; I don’t think it’s an accident that former Chief of Staff to the President of the United States is running for re-election for mayor in Chicago. I think more and more you are seeing leaders not just in the United States, but across the world, focusing on sub-national governments. This is because the overwhelming evidence is [that] at the federal level, the pace of change and reform is glacial. Gate: Atlanta is a Democratic city in a conservative state. What role do you see cities like Atlanta playing in the United States? Reed: Atlanta’s position as a forward-thinking center of a conservative state isn’t new. The city of New York is far different from the rest of New York. San Francisco and Los Angeles are different from the rest of California. Chicago’s different from the rest of Illinois. I don’t think it’s new that the areas outside of cities are more conservative—that’s not a new phenomenon. But I do think that cities are going to be the center of gravity globally. As we do this interview today, for the first time in four hundred years or more, the majority of the Earth’s population is moving to urban centers (50 percent today). In the United States, 70 percent of our GDP is from urban centers. If you want to have a healthy country, your cities are going to need to be healthier. Additionally, young people are choosing cities in a way that our parents certainly did not, in the way that our parents chose suburbs. Cities are where the energy and vitality for the economy is. And so the federal government is becoming less and less important because of its lack of capacity to provide resources. Because of its [the federal government’s] failure to work and be productive, state and local governments are simply bypassing it; you don’t need it except for regulatory approvals. I encourage the most talented people in the country, certainly people at the University of Chicago, to turn your attention to cities. Gate: What are some important policy issues facing American cities today? Reed: I think that cities are going to have to address the cost of pension benefits and how to manage those costs in a thoughtful way. There is a story that came out regarding the rating agencies downgrading Chicago’s debt to the lowest level of any major American city, save Detroit. That ought to be a wakeup call because Chicago is a great city by every important standard. It is a special American city that I happen to believe is well-run and well-managed by your mayor. But if Chicago can be where it is, what about average and mediocre cities? There’s probably 200 billion dollars out there in underfunded pension obligations, and it is lurking right outside of Chicago’s door. The consequences are just catastrophic. Many of America’s cities are burdened and are moving in the wrong direction and that happens to be where the bulk of the country’s GDP is produced, and so everything you care about is put at risk. I think you and your generation have a sincere interest in seeing cities perform well. I think pensions are one space and then I think a crumbling infrastructure is another space, both in terms of transportation, but also in terms of technology, fiber, and hardware. The infrastructure is the playing ground or the planning ground for everything else. Because of our country’s failure to invest in our roads, in our bridges, and in our green spaces, your generation is going to be hung with that debt. This stuff has to be funded, because it sets the ecosystem in which everything else works. Finally, the last issue facing cities is a failure to turn our attention to rising youth unemployment and the lack of youth training, which is creating a generation of people that are not developing traditional skills related to work. It ought to be horrific that massive swaths of our population have never had any kind of work. This is happening in the United States and globally, and as we know, it leads to frustration, disruption, and instability. Gate: Do you have any advice for Rahm Emanuel as he confronts the pension issue in Chicago? Reed: I think with regard to the pension challenge, [my advice to Rahm is] never stop explaining. That was one of the big lessons that I learned in Atlanta. We have 8,500 employees. I met with more than 4,000 of them in large and small groups. I did somewhere between 100 and 150 speeches, and I never stopped explaining. There is a tendency in leaders that because we know something, it seems to be pretty black and white. If we sat down together and we all looked at the same book with the same set of numbers, what should be done would be clear. We’d figure out that we are all going to go bankrupt if we don’t reform pension. But you need to sit down and explain that a hundred times. Because you know it doesn’t mean that the retired elementary school teacher or the public works person who has worked for 30 years understand why their cost of living needs to be reduced. Gate: Do you see a fundamental shift in the relationship between the federal government and city governments as people begin looking to the cities to solve problems? Reed: I hope the change that they will make will be to recognize the role of cities and to provide more direct funding opportunities to cities, as opposed to block-granting resources through states. The latter is an old model that is done because it is easy and the federal government is lazy. Send it [resources] to the people who can impact the economy the most, execute the fastest, and get the resources to people at the grassroots level. And that’s your cities. The federal government even today still has not started changing that formula because they’re built to deal with fifty. That’s easy. But it’s not good for the country. It’d be better if you took 50 percent and did it with states and then directed the other fifty to municipalities and metros. Gate: What advice would you give to your successor? Reed: Do the hard things first and do them now. My predecessor dealt with a sewer system that was antiquated. She took it on, she modernized it, and she figured out how to fund four billion dollars of debt and build one of the most modern sewer systems in the southeast. She didn’t plan on that when she got elected mayor. I had pensions. I did not plan on having to deal with labor unions and rising pension costs that were exploding while the city’s revenue was plummeting in the worst economy in eighty years. Everybody has a deal. When you lead, it’s hard. Gate: As the mayor of Atlanta, you’re the first sitting politician to be a fellow at the University of Chicago Institute of Politics. Why did you come to Chicago? Reed: First of all, David Axelrod asked me to, and I think that he’s one of the best minds in modern politics. I appreciate his service to the country and what he did by helping to elect President Obama and a number of other people that I respect a lot. Two, I happen to love Chicago. I believe that young peoples’ ideas and energy renew you. A friend of mine is a CEO of a Fortune 100 company, and one day a month, he visits with students somewhere in the world. He told me that is one of essential elements of his success–to sit somewhere with young people for an hour or two hours, and to have a real exchange, hear what they’re thinking, and how they’re feeling about things. It keeps you from being in a bubble. That’s why I’m here. Gate: If you could give one piece of advice to a student who’s interested in politics, what would you say? Reed: Decide. There is a tremendous power in deciding what you want to do, and it doesn’t mean that the decision has to be permanent, but the sooner that you decide what direction you want to go in with regard to public service, the sooner that decision organizes seven to ten other prerequisites that are necessary for public service. Until you decide, it’s very hard to determine the path. And I just believe that there is tremendous organizational power in deciding: It clarifies your mind; it allows you to choose your direction and to get to work. I also believe that in politics that the earlier you have the opportunity to serve and lead, the higher your overall potential trajectory. If you look at the politicians that we care about, they started serving very early in their lives. Just go through them. They got elected, almost to the person, at very young ages. There are a few outliers, but not many.